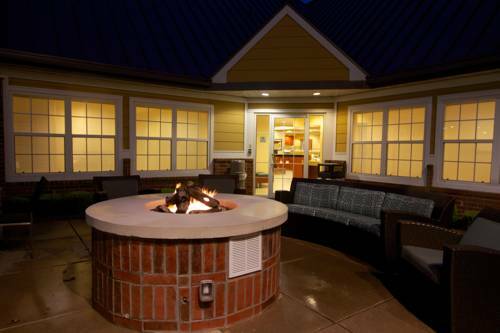 Discover a fresh take on travel at Residence Inn Fort Smith. Our extended-stay hotel in Fort Smith, Arkansas offers a convenient location in the heart of the state's second-largest city, near Mercy Hospital Fort Smith, the University of Arkansas - Fort Smith (UAFS), Fort Chaffee Maneuver Training Center and the Belle Grove Historic District, known for its beautiful homes showcasing an array of architectural styles. We offer free transportation to and from Fort Smith Regional Airport (FSM), less than 1 mile away. After a fast-paced day, unwind in apartment-style suites featuring all of the comforts and none of the obligations of home. During downtime, visit our outdoor pool, gym and Sport Court, or take advantage of complimentary access to the Mercy Fitness Center, located right next door. Keep connected with free property-wide Wi-Fi, and stay satisfied with complimentary breakfast and evening social hours featuring tasty hors d'oeuvres and premium libations. Book a stay at our hotel in Fort Smith, AR today! - Area Agency on Aging, Inc.
- Greyhound - 116 N. 6th St.
~34 miles from Fort Smith.